Get ready for the most exciting sky event of 2015! After an absence of roughly 2000 years "The Star of Bethlehem" graces the evening sky again from June 27th through July 4th. Venus and Jupiter are the brightest celestial objects after the Sun and Moon. The two planets spend eight evenings within 2° of each other from June 27th through July 4th. The closest visible conjunction of Venus and Jupiter is on June 30, 2015. Astronomers refer to a close celestial pair-up like this as a conjunction. "Planetary conjunctions have no effect on Earth or human affairs," notes Sky and Telescope Senior Editor Alan MacRobert, "except for one: they can lift our attention away from our own little world into the enormous things beyond. A spectacular conjunction like this often gets people started in the hobby. Once you start, there's no end to how far you can go." Many Christians see the star as a miraculous sign to mark the birth of the Christ (or messiah). Some theologians claimed that the star fulfilled a prophecy, known as the Star Prophecy. Astronomers have made several attempts to link the star to unusual astronomical events, such as a conjunction of Venus and Jupiter, a comet or a supernova. The truth is, we don't know the answer, and in fact, no one else does either, in spite of what you might hear. If there was a clear-cut answer to this question, everyone would already know the answer and wouldn't have to ask. Some scholars say that the Star of Bethlehem must have been a supernatural event, not a natural occurrence of astronomy. Indeed, perhaps this is a mystery that modern science can never truly unravel. 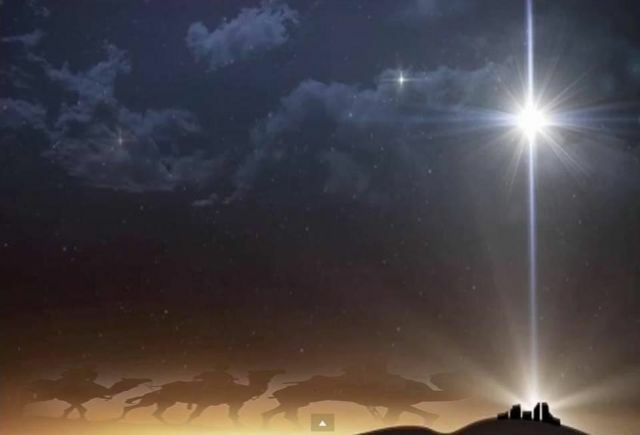 Video below: Trunews host Rick Wiles is joined by experts Jim Dodge and Dale Sides to discuss the return of the Star of Bethlehem and the signs in the skies in 2015. There is ZERO reason to tout this as the "STAR of Bethlehem." I guess the moderator did not like my comments it disappeared. It's too radical and blunt. If the comment was disrespectful to others, used swearing, insulting tones, deviated from the topic, was counter productive, and so on and so forth, then yes, its possible the moderator took them down. But he usually doesn't bother unless they are Really breaking the rules. God was in control then and He is now also and always will be no matter what any person on this earth says. Perhaps He is close to sending Jesus back for those who are born again. I hope so! Then the skeptics of this world will know it was all true in the Bible. It says "there will be weeping and wailing and gritting of teeth" at the 2nd Coming of Jesus Christ.